Come and hear Maribel in conversation with Lyndel Caffrey, Write-ability Project Manager for Writers Victoria. ‘Blindness for Beginners’ will be launched by Hazel Edwards, OAM, Author and Patron of the Society of Women Writers VIC. Maribel Steel is an Indie author, motivational speaker and positive vision educator. She is legally blind, the mother of four children, a keen traveller and an award-winning blogger and Toastmaster. She wrote for the About.com network as the Vision Loss Expert and writes for VisionAware (USA). 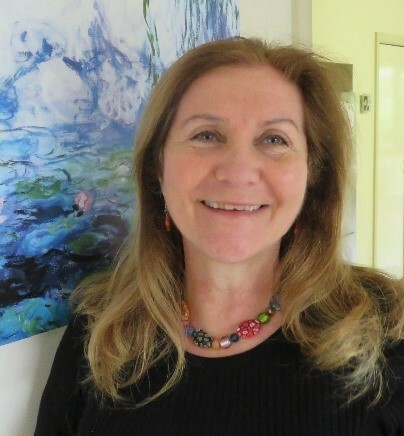 Maribel was awarded a High Commendation in the Write-Ability Fellowships (Vic), and she sits on the judging panel (2016-2019) for the Accessible Books Consortium, UK to judge the International Excellence Awards for Accessible Publishing.